I can still remember the first time I fished Bowman Creek. I was six years old when my dad took me to the Fly Fishing Only stretch located in Wyoming County, Pa. I caught my first trout on a Black Wooly Worm that day and I’ve been hooked ever since. Bowman Creek is a freestone stream that originates from Mountain Springs Lake, which is nestled in amongst the 2000+ ft. high North Mountain Range in Luzerne County. 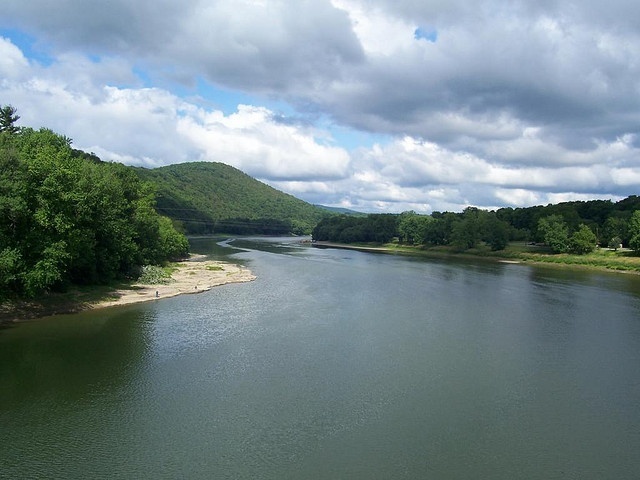 From there it eventually empties into the North Branch on the Susquehanna River in Wyoming County, some 26 miles away. From its origin, Bowman Creek flows down through 44,000 acres of public state game lands, most of which is completely accessible from the old railroad bed that parallels the stream. The headwaters of this stream have a decent population of native Brook Trout most of which range between four and seven inches in length. Bowman Creek is quite narrow up there (10 ft.- 15 ft.) with plenty of brush and tree cover awaiting your fly. I recommend a 6 to 7 ft., 4-wt. fly rod when fishing this stretch of water. As Bowman’s meanders down through this mountain range, it quickly picks up volume from its many tributaries. Most of these tributaries hold some native brook trout and a size #10 Cream Elk Hair Caddis will do the job nicely. As Bowman’s flows down some 10 miles or so from its origin, you’ll come to the small town of Stull. From Stull downstream to the town of Eatonville is where Bowman’s Creek becomes heavily stocked. 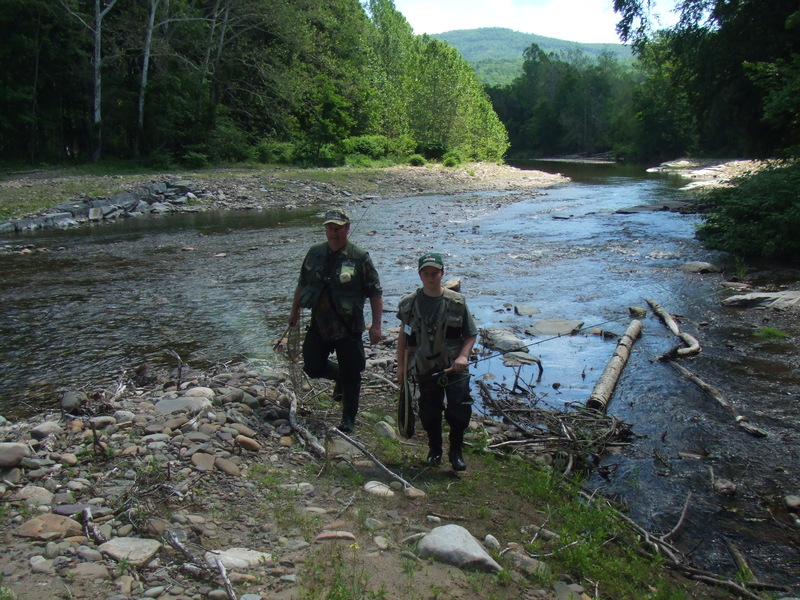 The Pa Fish and Boat Commission stock this section of Bowman Creek at least three times a year with mostly brook and brown trout. A daily limit of 5 trout with a minimum size of 7 inches may be harvested from opening day of trout fishing to Labor Day. Most of this section is a put-and-take fishery with exception of the 1 mile Catch and Release Fly Fishing Only stretch found in Wyoming County. By far the best fishing on Bowman Creek comes from the Catch and Release Fly Fishing Stretch. This stretch starts at the bridge on S.R. 292 and ends at the confluence with Marsh Creek. This special regulation area has beautiful tree cover and is riddled with pocket water and pools. The size of the stream ranges from 25 ft. to 45 ft. across.  Good fishing can usually be found from late March through November on this special regulation stretch, but the best fishing will be had in May and June when the super hatches are in full swing. Bowman Creek has an abundance of aquatic insects and the major hatches include the early black and brown stoneflies size 12 to 14, blue quills size 16 to 18, quill gordons size 12 to 14, hendricksons size 14, American grannoms size 12 to 14, march browns size 8 to 12, sulphur duns size 14 to 18, blue winged olives size 14 to 24, slate drakes size 10 to 12, and Tricos size 22-24. Bowman Creek can sometimes fish poorly in early spring; it all depends on the snow pack in the mountains and how fast that snow melts off. It has been determined that, like most northeastern freestone streams, Bowman Creek suffers from acid spikes during spring runoff. But, efforts are now underway to combat those acid spikes that seem to shock the fish and the other aquatic inhabitants. Our local TU chapter has helped organize the Bowman’s Creek Watershed Association and now there are several lime dosing stations set up along some of the tributaries that feed Bowman Creek in hopes to lessen the effects of acid precipitation during spring runoff. 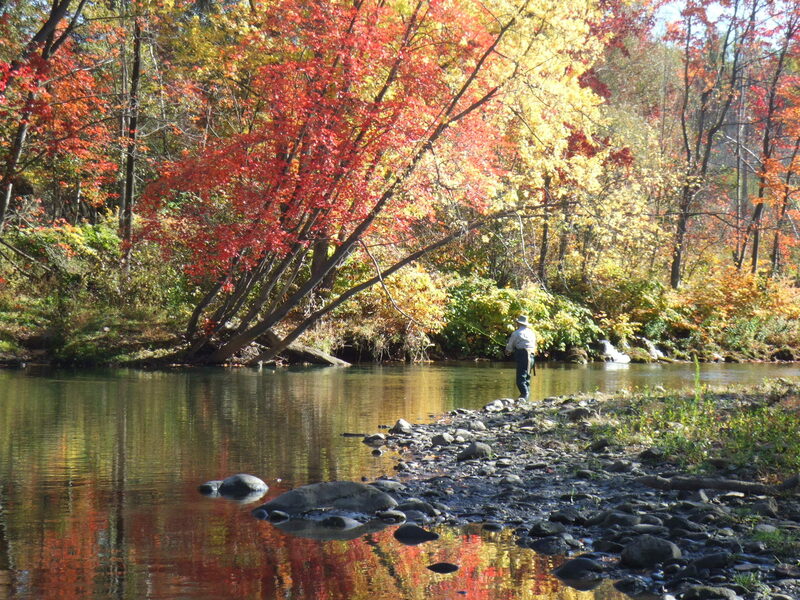 Bowman’s Creek is One of Joe’s Favorite Trout Streams in PA..